Author: Indiana Black Expo, Tanya Bell, Esq. 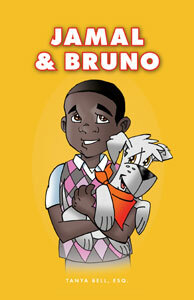 Tanya Bell’s book, “Jamal & Bruno,” stresses the care and responsibility needed for a young man to own a dog. It is one of four books under Indiana Black Expo’s Read, Think & Speak Initiative – whichhelps close the academic achievement gap for minority, educationally disadvantaged and impoverish youth in grades K-12.